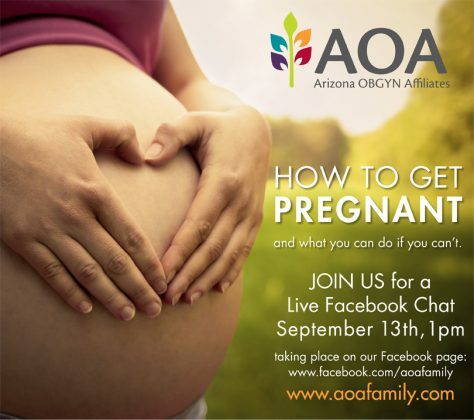 Arizona OBGYN Affiliates tapped Quaintise to align all nine of their offices as one AOA- branded family. Our efforts included an audit of their digital footprint and research identifying strengths, weakness, opportunities, and threats. As a result, we generated a cohesive branding campaign that underlines its mission, services, and value principles, further defining how they make a difference in women’s healthcare. Quaintise helped eradicate duplicate web pages, poor SEO, and unorganized traffic trends. As a result, pages were more optimized and search engine rank improved dramatically. Quaintise successfully launched a brand campaign that celebrates the exceptional compassion, care, services, expertise and dedication that make AOA what it is, and told those stories through the experiences of patients and families that have most benefited from them. 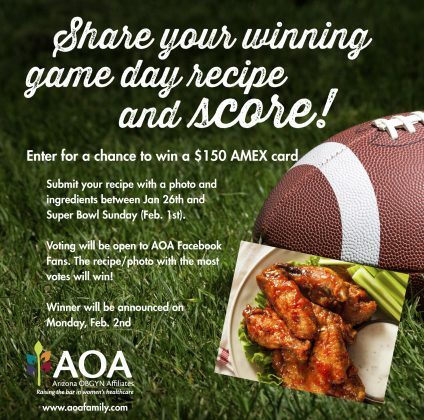 The campaign was promoted by TV commercials and digital banner and print ads, driving their target audience to the AOA website, general information phone number, and dedicated social media destinations. 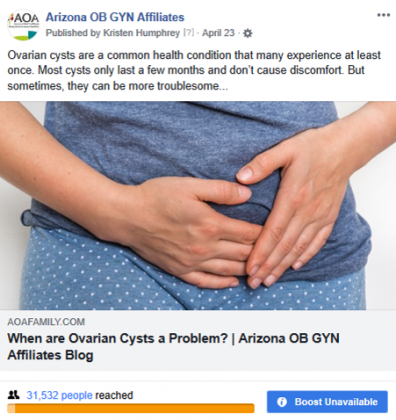 Quaintise developed an interactive social media strategy for AOA’s nine branch location Facebook pages — the largest OBGYN Facebook presence in the entire US. 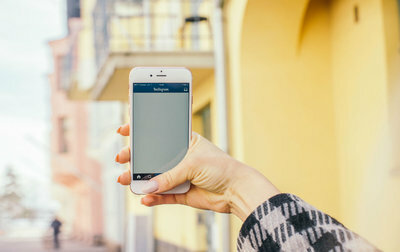 Their social media platforms became a communal group and landing destination where their audiences could engage and learn more about the brand. We implemented highly targeted advertising campaigns, launched a contest and several promotions aimed to increase the page’s engagement and increase their following. As a result, their social media presence generated more traffic, brand awareness and leads than ever before. 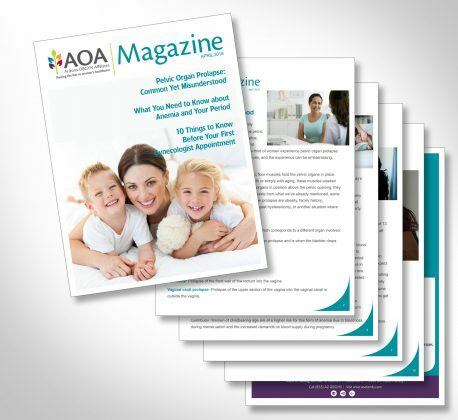 Quaintise used a strategic mix of digital advertising, print, blog posts and email to help prospective patients learn more about AOA. 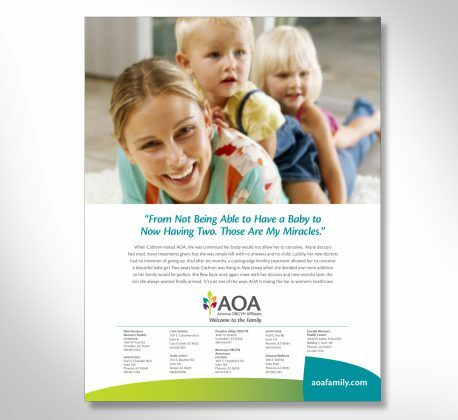 The campaign emphasized connection, relating with others and sharing experiences— even baby pictures — effectively becoming life members of the AOA family. 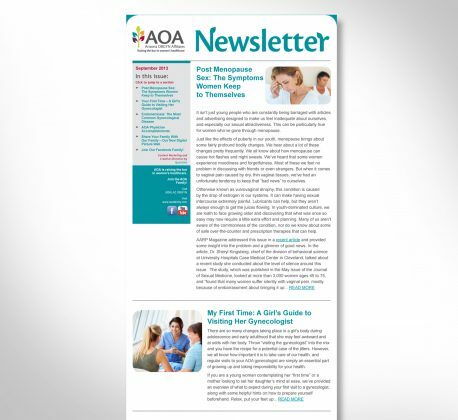 Our work has grown their email marking list to over 112,000 newsletter subscribers, who look forward to the quarterly that features office news, new services, relevant health topics, staff member highlights, events, and their blog promotion. Quaintise developed a comprehensive media plan that encompassed many channels including: magazines, newspapers, radio, digital websites, as well as new partnerships with local retailers and organizations.